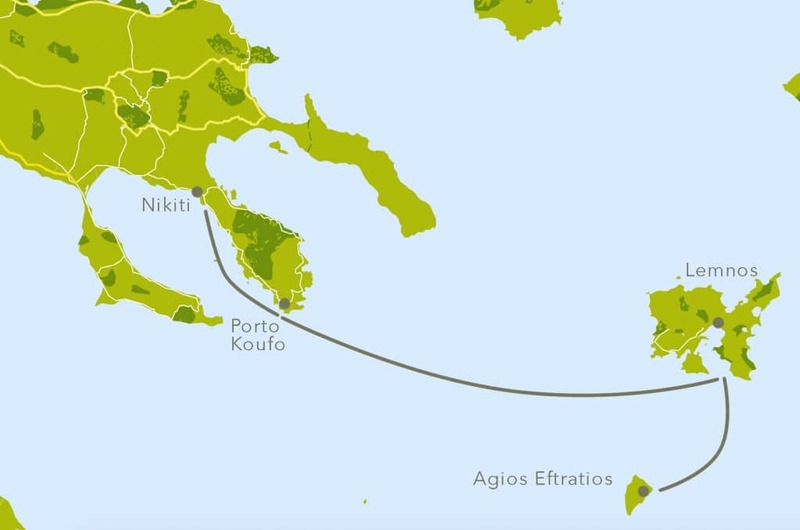 Nikiti – île de Limnos : 90 nautical miles and 70 nautical miles. It is best to take a break in one of the two stops of Chalkidiki. 45 minutes between them. The seabed is sandy and anchors hold well. the village. Generally little frequented, it’s easy to find available berths.